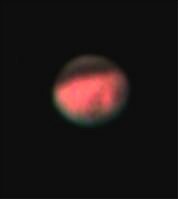 Mars taken with a 10" Meade starfinder using a color Quickcam VC at prime focus. This image is the product of 30 stacked images and processing with Maxim DL. This image was taken in July 2001 when Mars was at it's closest to Earth since 1988. 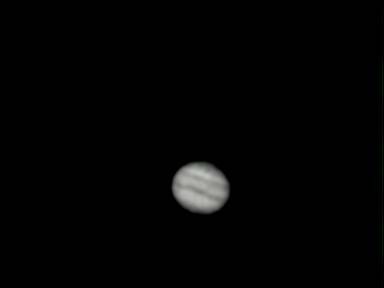 Jupiter taken with 6" Dobsonian (hand guided) using Quickcam ccd camera at prime focus. 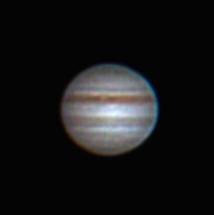 and 12.5 mm eyepiece. 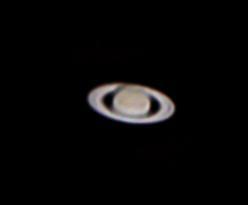 Taken on 30 sep 01.